After the presents are opened and the wrapping paper is cleaned up, there’s just one last thing to do: take down the tree. But how should you dispose of your Christmas tree? According to Cuyahoga Recycles, 10 million Christmas trees end up in the landfill every year, but there are better and greener alternatives to tossing your tree in the trash. Give one of our suggestions a try and start the new year doing something good for the environment. Before you decide on the best Christmas tree disposal method for you, you need to know when it’s time to say goodbye to this holiday staple. A general rule of thumb is to get rid of your tree as soon as it shows signs of drying out, because that’s when they become a fire hazard. Although Christmas tree fires are not common, the results are dangerous when they do occur. On average, one of every 45 reported home Christmas tree fires results in death, according to the National Fire Prevention Association. So, if you want your tree to last longer, make sure to keep it fresh and water it daily. This should help it last about three weeks from the time it was cut down. Rule of Thumb: Throw away your Christmas tree as soon as the tree loses its smell and begins dropping needles. When the needles start falling off, the tree is dry and it’s time for it to go. When you finally give in to the end of the Christmas season, make sure to take all lights, ornaments and decorations off of the tree. Then, sadly wave goodbye to Christmas. Once the decorations are boxed up and the lights rolled up with care, it’s finally time to get rid of the tree. Before you dispose of your Christmas tree, you might have a few questions. 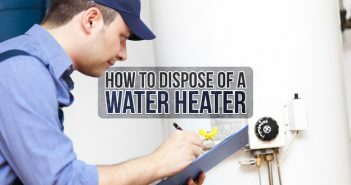 Take a look at the answers and disposal options below to find the right one for you. Can I Leave My Christmas Tree on the Curb? Many cities and counties do have a Christmas tree recycling service with curbside pickup. In this case, the trees are usually taken to a chipper to cut them into small pieces to be used as mulch. Check with your local department of public works for availability and collection schedules. 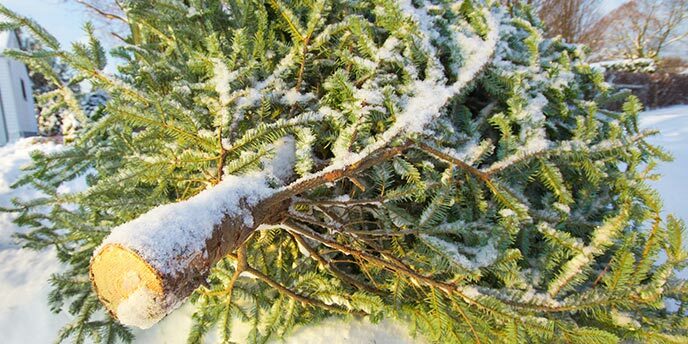 Yard Waste Collection Service: If your city doesn’t offer a Christmas tree recycling service and you’re having a hard time finding a disposal option, trees can be thrown away, and they will eventually break down naturally. Either cut your tree to fit in your yard waste container to be taken away on your typical trash day, or check with your dumpster company to see if your tree can be added to your roll off dumpster rental. Some dumpster companies will take flocked trees. Third Party Christmas Tree Pickup Service: Some nonprofits and other organizations near you collect Christmas trees at the end of the season. Use Earth911’s Recycling Search to find real Christmas tree collection services near you. If you’d rather not leave your Christmas tree outside your house, look for a drop-off recycling center that collects trees after the holiday. 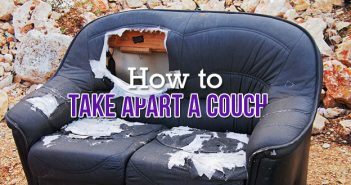 Most counties have free drop-off locations. Can I Donate My Christmas Tree? Absolutely. Just because the needles are dry doesn’t mean someone else – or some goat – can’t benefit from your Christmas tree. Yes, if you’re looking for a unique way to dispose of your Christmas tree, goats love to snack on pine trees. Many small, local farms will gladly accept undecorated trees for goats to eat. Some zoos will also take trees off your hands to use as treats or playthings for animals. How Can I Reuse My Christmas Tree? Once your Christmas tree has been stripped bare of all decorations, it can be reused outside of the house as an animal habitat or an environmental helper. Something heavy, like a brick or big rock, can be tied to the tree to help it sink to the bottom of a pond or lake. This provides fish with a new habitat. Your Christmas tree can also be used to protect riverbanks, dunes and coastlines from erosion. The trees can be used to build barriers to break the waves that erode the land. 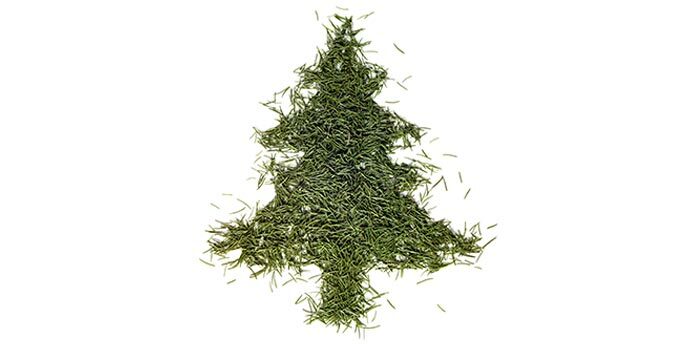 Can I Compost My Christmas Tree? Composting is a great way to dispose of your Christmas tree and extend its use. The branches from your tree make a good base for a compost pile. 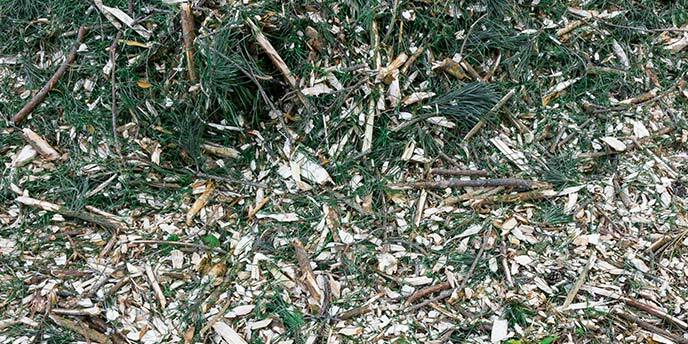 If you take your tree to a chipper, you can use the resulting mulch in your compost heap. Can I Recycle a Flocked Tree? No. 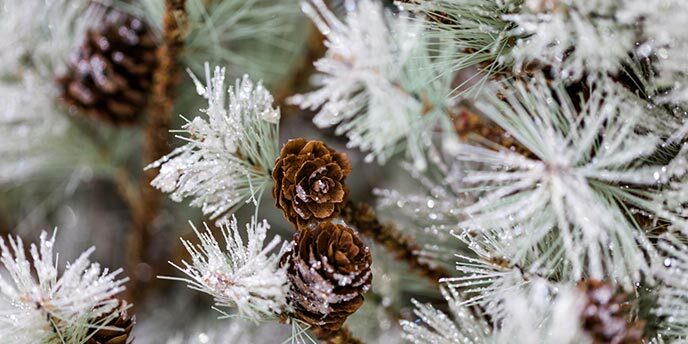 Flocked trees, which are made to look like they have snow on them, will often need to be chopped up and placed in your regular solid waste bin. However, not all cities or counties will accept flocked trees in trash bins. Check with your local department of public works for more information. Sort of. Repurposing a Christmas tree for firewood or kindling is common. Just remember not to burn this wood in an indoor fireplace, because sap can stick to the inside of your chimney and cause a chimney fire. 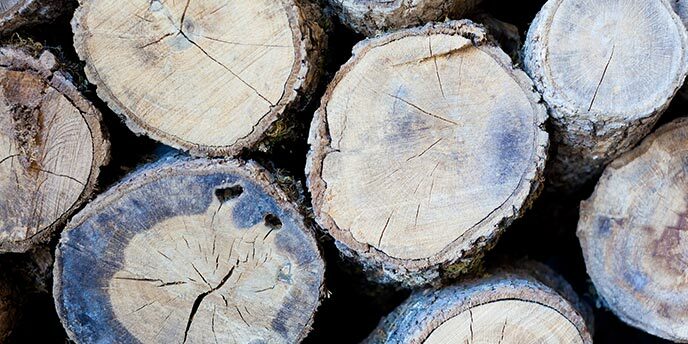 Chop up your tree and let the wood dry out for several months before using it in an outdoor fire pit or bonfire. 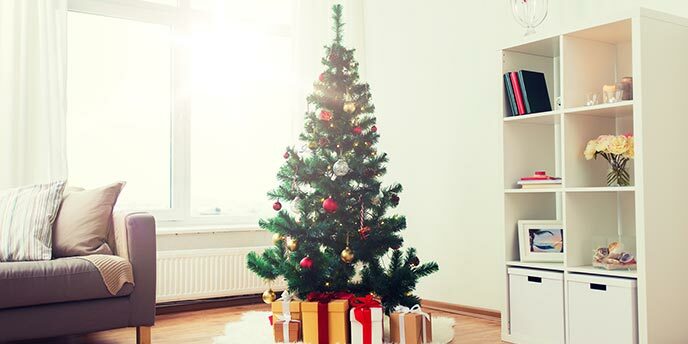 How Can I Use My Christmas Tree at Home? There are lots of great DIY crafts you can make with your Christmas tree before you dispose of it. You can slice up the trunk to make coasters, stepping stones in your yard or garden bed edging. You can even make ornaments out of it. Saw off the trunk into half-inch circles and drill a hole in the top to thread a string or ribbon through. Artificial Christmas trees are a good alternative to real trees if you don’t want to buy a new one every year. But even artificial trees need to be replaced once in a while. If your fake tree is on its last leg, try one of these artificial Christmas tree disposal methods. Can I Recycle an Artificial Tree? No. We recommend donating or repurposing artificial trees, but unwanted fake trees can be placed in the regular trash. 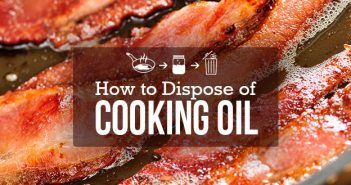 They can also be taken to a drop-off center in your area. Can I Donate My Artificial Tree? We definitely recommend continuing spreading Christmas cheer by donating your artificial tree (as long as it’s still in good shape). Many nonprofits, like thrift stores and Goodwill retail stores, will gladly take your artificial tree off of your hands. You many also find that senior centers, retirement homes, nursing facilities, hospitals and schools will also accept artificial tree donations. We recommend calling any of these organizations first to see if they can benefit from your donation. How Can I Repurpose My Artificial Tree? Centerpiece: Simply cut off the top of your artificial tree and place it in a mason jar or vase for a perfect table centerpiece. You can then use the rest of your tree for the crafts below. Wreath: Using wire cutters, remove the branches from the center part of the tree. Choose six or eight branches and bend them into arches. Overlap the branches to form a circle and connect them with zip ties or wire. Napkin rings: Turn the smallest twigs into festive napkin rings by simply shaping them into small circles and slipping them onto rolled napkins. When the Christmas season winds down and we head into the new year, take some time to think about the best use for your old tree instead of tossing it in the garbage. Will you donate it, take your real Christmas tree to a recycling center or repurpose your artificial tree into holiday decorations for next year? When you get rid of your Christmas tree the green way, you help reduce landfill debris and may even continue to spread holiday cheer. Looking for other ways to go green this season? Take a look at the Green Living section of our blog for more tips on living sustainably and making a positive impact on your environment. However, There are services that are springing up to dispose of these trees responsibly. One of them is Take My Christmas Tree (https://www.takemychristmastree.com). At a time when we face so many environmental issues, we need more people to step up to take care of OUR planet. It’s happening slowly, but at least it is happening. I actually plan to stop using plastic straws and convert to paper straws because they are biodegradable. I would advise anyone reading this to do the same.